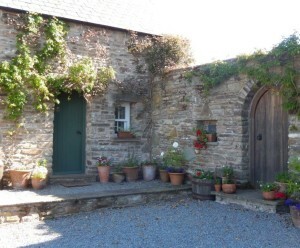 Sleeps 2 - 4. Nightly stays. 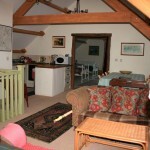 Self-catering accommodation for 2-4 people. 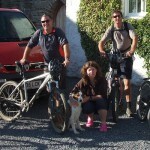 Ideal for walkers, cyclists and riders wanting to book a short break or weekend. The Hayloft is a spacious Loft with conservation Vlux windows fitted in the roof and a large window in the bedroom showing fabulous views of the hills. On clear nights a full moon can be seen rising above the hills and later on the stars provide a wonderful constellation! 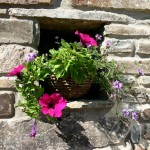 The Hayloft bathroom is downstairs and has a loo, sink and a very decent power shower. Upstairs the sitting area is spacious and has sofas and chairs. 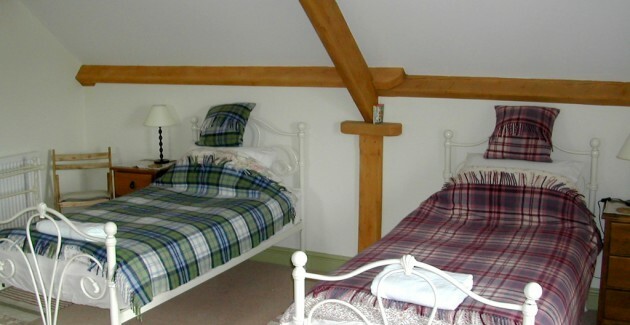 The Hayloft bedroom is bright, airy and has been tastefully designed in a dormitory style with proper 3ft wrought iron single beds with comfortable mattresses and quality linen. 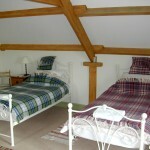 If you are booking The Hayloft as a couple two beds can be made up as king size. 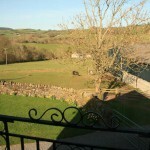 The bedroom has a small balcony with a wonderful view overlooking the scenic Honddu Valley as well as a good view of the horses fields and stables. 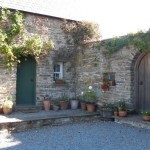 The Hayloft kitchen is fitted with a fridge, electric cooker and micro-wave and there is ample room to sit at the large table for meals. The living area has two sofas, a table and soft lighting. There are plenty of games, puzzles, books, maps and brochures. 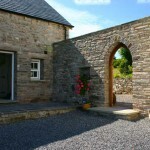 During the summer a BBQ and seating is provided through the arched door. 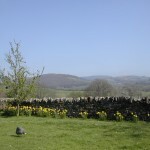 A Full Welsh Breakfast, informal Farmhouse 3 course dinner and generous packed lunches can be provided with advanced booking when required for guests arriving on horse-back. 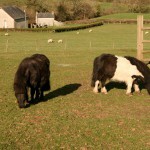 There's plenty to do in the local area too and you can even give your horse a holiday in our stables. 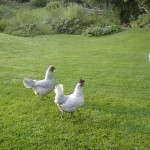 Copyright ©2012 Alltybrain Farm Cottages.